SEAT has unveiled the new Leon ST - the third model in the Leon range - the estate joins the impressive new Leon five-door hatchback and the three-door Leon SC coupe. It's expected to cost around £750 more than the standard Leon which would mean a starting price of around £16,400 and it will go on sale early next year. 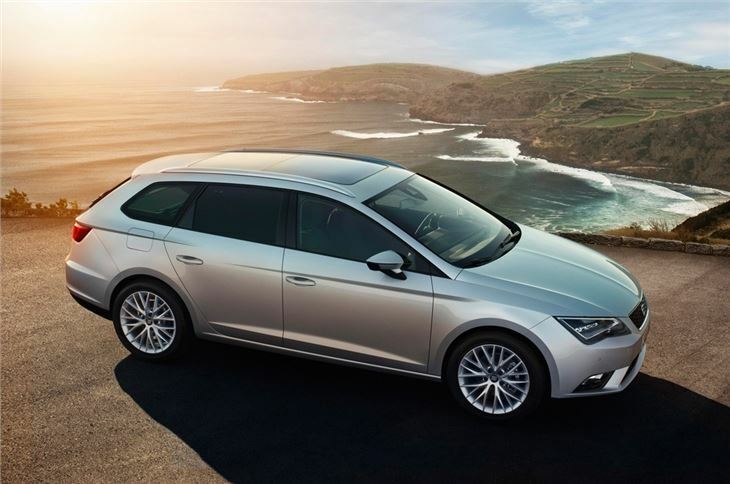 The ST (or Sports Tourer) is based on the same platform as the standard Leon but has a huge boot - 587 litres to be exact which is larger than the Audi A6 Avant, BMW 5 Series Touring and the Ford Mondeo Estate. Effectively the Leon ST replaces the Exeo ST in SEAT's range but it's far better looking with the new look of SEAT meaning sharp and clean lines. 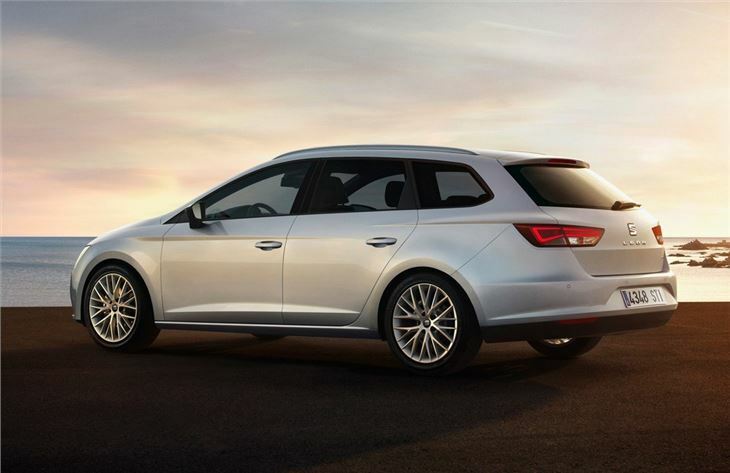 If the Leon hatchback is anything to go by, we expect this estate will have a high quality interior and be just as impressive when it comes to handling and refinement. 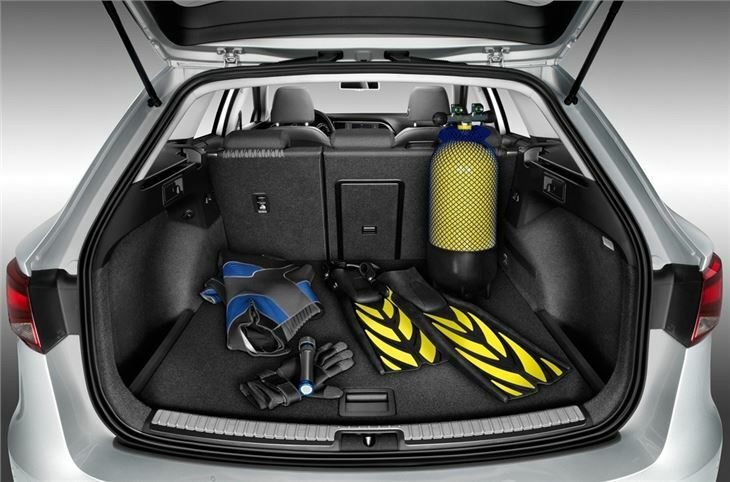 Folding down the rear seats - which fold flat - increases overall boot space to 1470 litres. 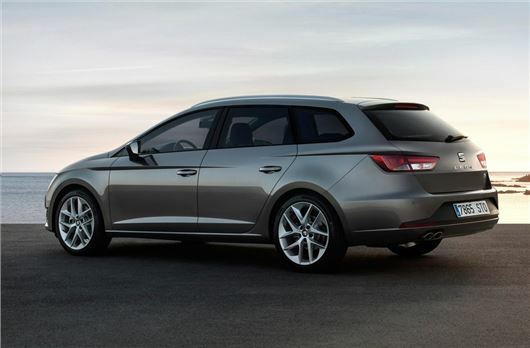 It will have a similar engine line-up as the standard Leon which means strong yet economical TSI and TDI units. The entry-level model will be powered by a 1.2 TSI with 105PS. Don't be put off by its small size though - this engine punches well above its weight. There will also be 1.4 TSI and 1.8 TSI engines while the diesel line-up includes the frugal 1.6 TDI and the punchy 2.0 TDI 150PS. All engines get start/stop as standard while FR versions come with the new more powerful 2.0 TDI with 184PS and 380Nm torque which still averages 65.7mpg. A 1.8 TSI FR is also available. The Leon Cupra is set to be launched early next year and SEAT will offer all three bodystyles in its high performance version, meaning there will be a Leon ST Cupra to rival the Ford Focus ST Estate. The Leon ST will also mark the debut of some new-to-SEAT options including adaptive cruise control (ACC), progressive steering and an Adaptive Chassis Control (DCC) system, available on the FR. This has three different modes, adjusting the damper settings depending on the mode that Drive Profile is switched to.